JERMY'S JOURNAL: Three weeks to go!!! Can you help!!? Three weeks to go!!! Can you help!!? with under 3 weeks to go until the Norfolk County Council elections it is not too late for you to offer to help! 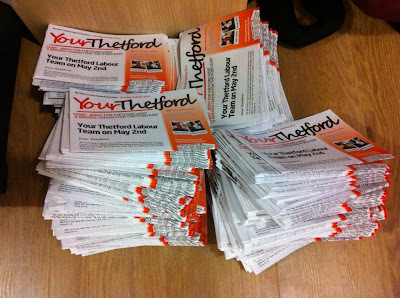 Can you help deliver any leaflets to your area? knock on doors / telephone voters? do you want a poster to go in your window? Every little bit of support is so very much appreciated and really could make all the difference! Please let me know. Together we can do this!! !